OLT series products is 1U high 19 inch rack mount product. The features of the OLT are small, convenient, flexible, easy to deploy, high performance. It is appropriate to deploy in an compact room environment. The OLT can use for “Triple‐Play”, CPN, IP Camera, Enterprise LAN and IOT applications. It is a high performance products. 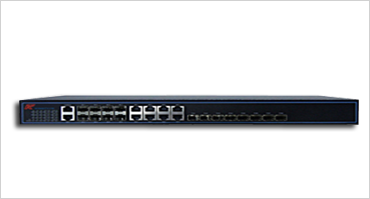 It provides 8GE and 8 SFP slots interface for uplink, and 8 EPON ports for downstream. It can support 512 ONU under 1:64 splitter ratio. SNMP, Telnet, CLI management mode.